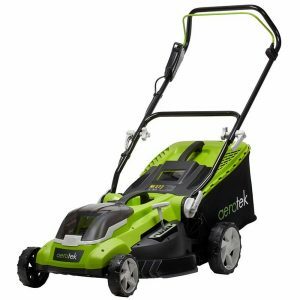 What is a cordless lawn mower? 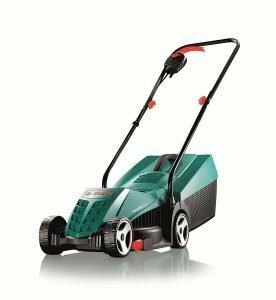 Why a cordless lawn mower? With the welcome arrival of spring, love it or hate it, it won’t be long before your lawn will need to be cut more often. 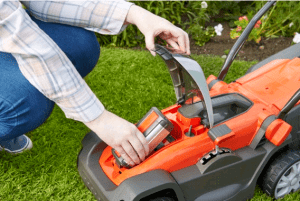 Replacing your mower with a cordless lawn mower may help to make the job a little easier as they are more convenient than corded mowers, especially for smaller lawns. Cordless mowers have come on leaps and bounds due to better battery technology with Lithium-Ion batteries creating more power, quicker charge times and longer cut times. 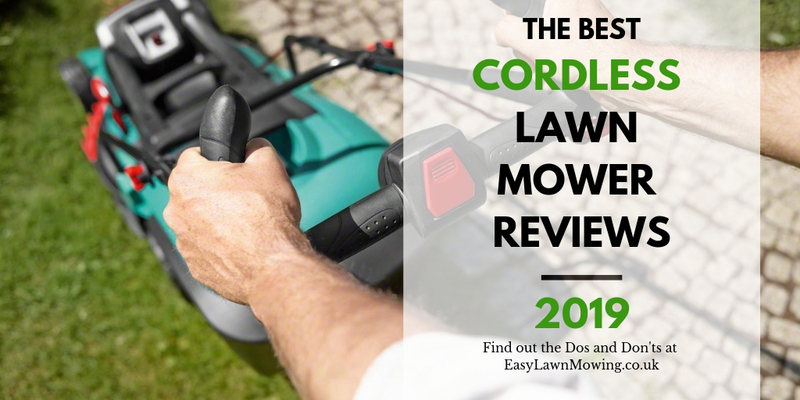 Here at EasyLawnMowing I review the best cordless lawn mowers available on the market, ensuring you invest your hard earned cash on a mower that best suits your lawn. These cordless lawn mower reviews are perfect. I’ll be explaining exactly what they are and why you need one in your life. 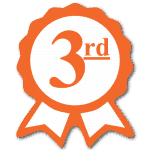 I have broken down our best cordless mowers into three sections depending on the size of your lawn/garden. As a guide, use the table below to estimate the size of your lawn and the appropriate deck size for the cordless mower you should choose. *A tennis court is around 260 sqm. Their garden is about 400 m² in size or less. Like the option to mulch the lawn. 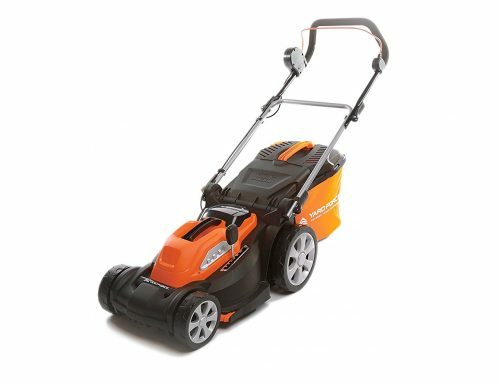 If you want the convenience of an electric mower without the hassle of cords, a cordless mower is a great option. Improvements in battery technology, from the nickel-cadmium battery to lithium-ion batteries makes them last much longer and has reduced the weight significantly. The convenience is amazing and you can zip around your garden with complete freedom. The only negatives with a cordless option is that they are more expensive and the battery will need to be charged up before it can be used. 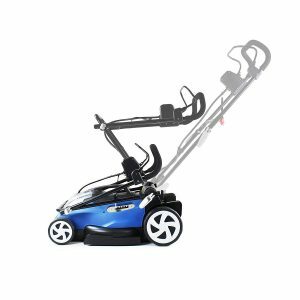 A full charge should be enough to get you around most small to medium lawns. 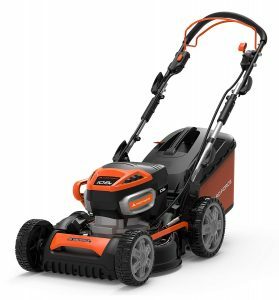 There are a lot of options and features to consider when selecting a lawnmower and often the decision can be quite daunting. 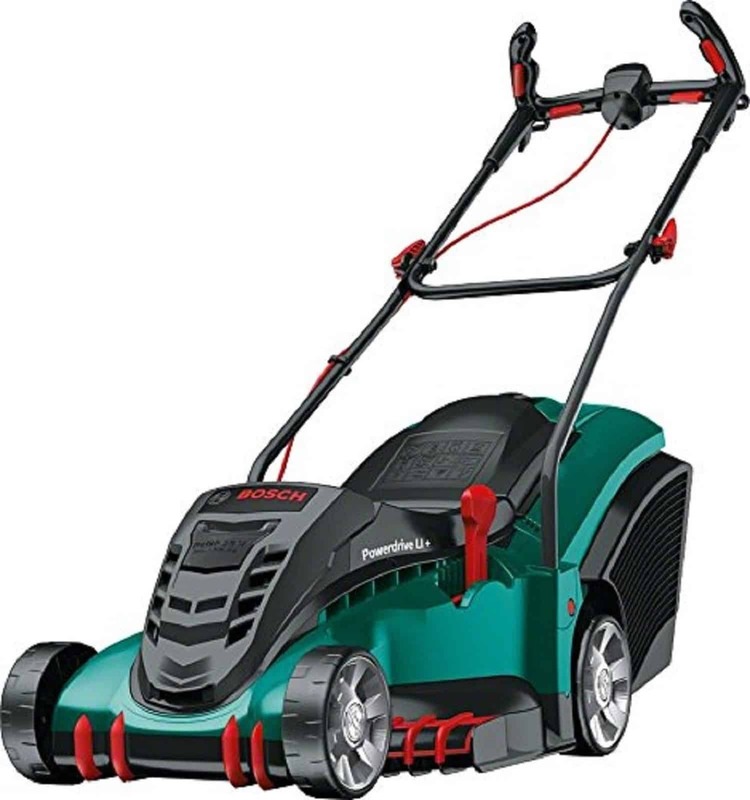 This guide to the best cordless lawnmowers 2019 will give you some great information on some of the best options in this category. 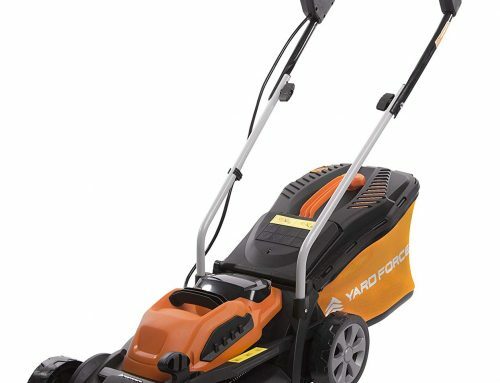 There are many great advantages to having a cordless lawnmower. 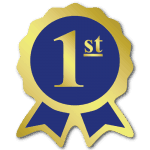 We will look at all the advantages as well as the potential disadvantages so that you can make the right choice for your needs and requirements. 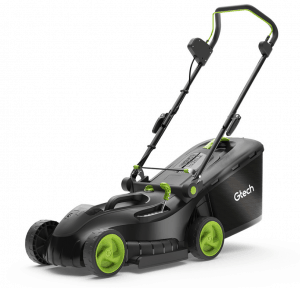 We will take you through what you need to consider before purchasing a cordless lawn mower. 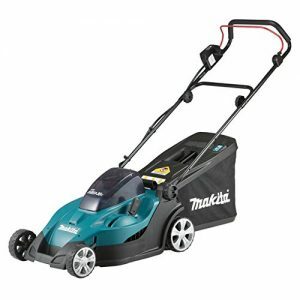 A lawnmower is a fair investment and you want to get the one that will do what you need and be perfect for your requirements and lawn. That may sound like an obvious question but it is important to clarify and give you a bit of history. 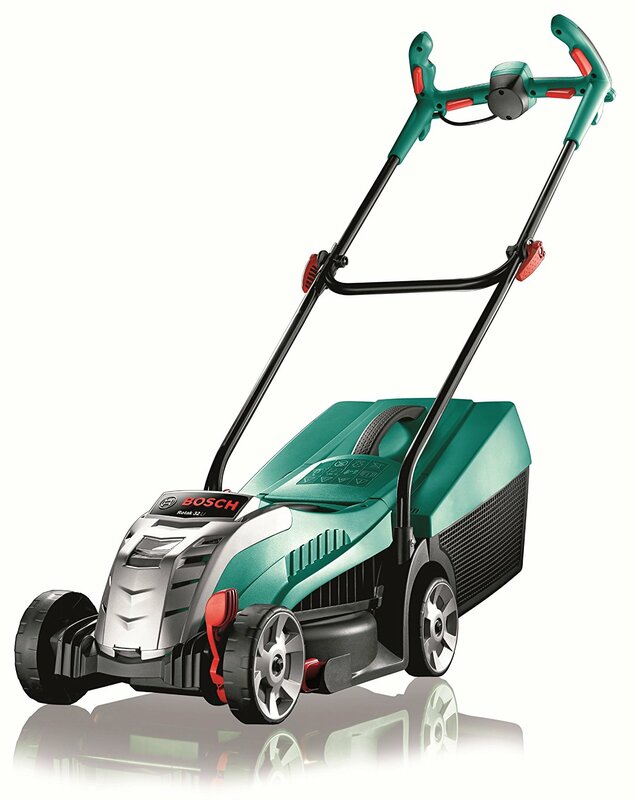 Lawnmowers are normally divided into 2 categories, petrol or electric. Both have their advantages and disadvantages. Electric lawn mowers can then be divided between cored and cordless model. 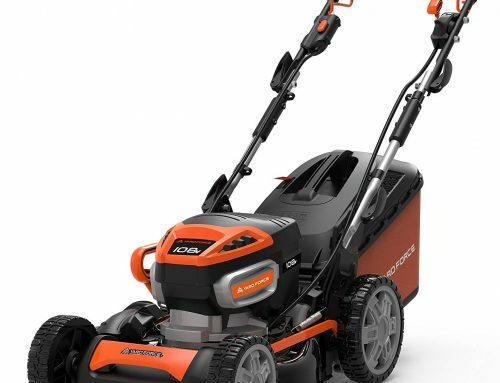 Electric corded lawn mowers require a connection to a power source and a cable to worry about as you work. 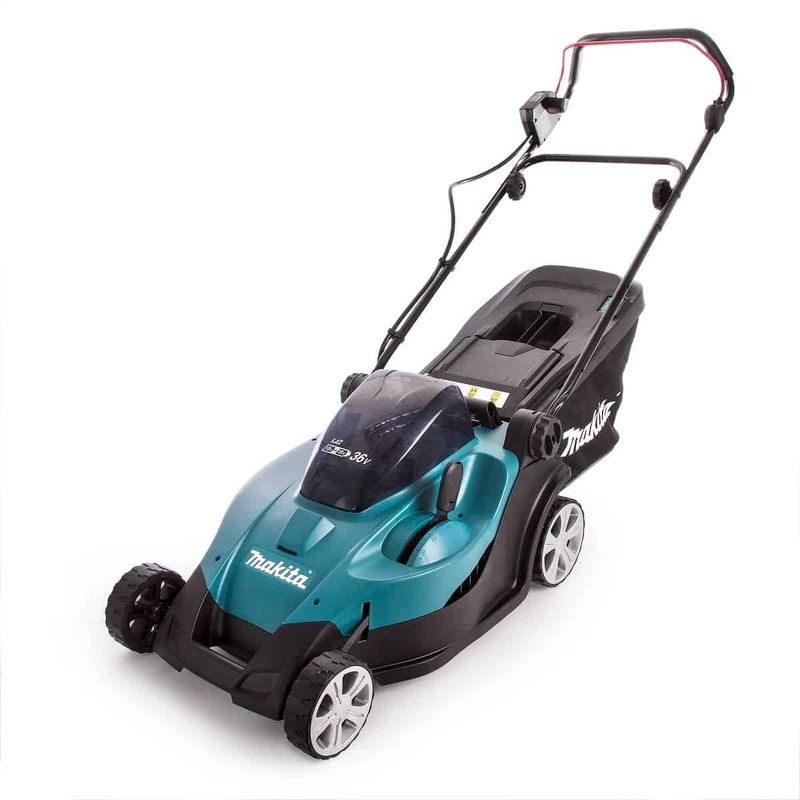 Petrol lawn mowers give you more freedom but are generally heavier and cost more to run. 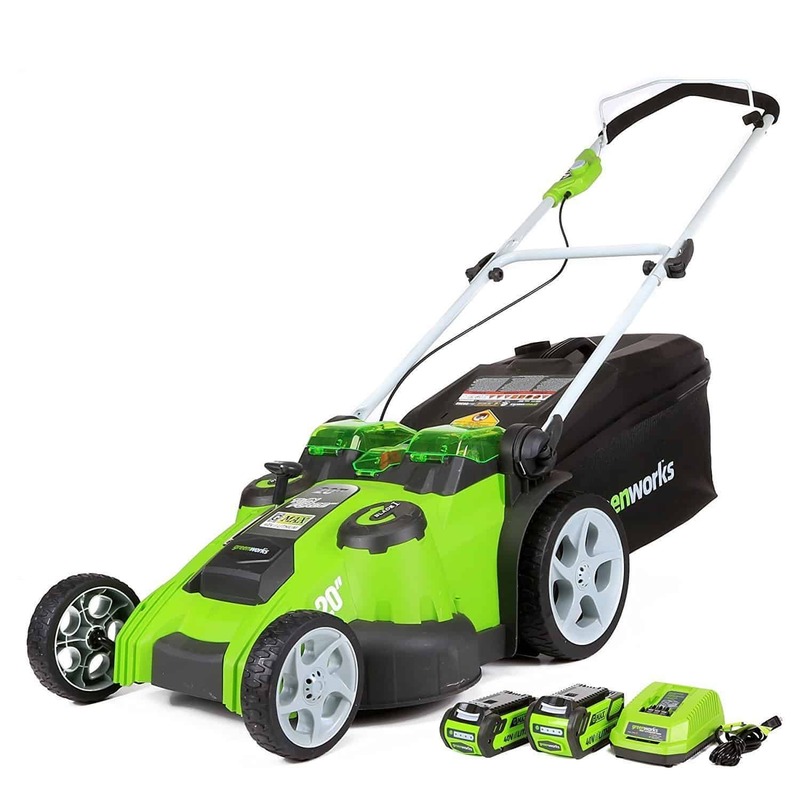 A cordless lawn mower gives you the best of both worlds as it is easy to move with no cable to worry about while reaming lightweight and easy to maintain. In the past, they used an older battery technology, normally nickel-cadmium battery (NiCd). Much like we have seen with mobile phones, the technology has improved dramatically. Modern batteries a generally lithium-ion battery (Li-ion). These are much lighter and more powerful. The important thing to understand is that cordless lawn mowers are now highly capable for a small to medium lawn and a pleasure to use. 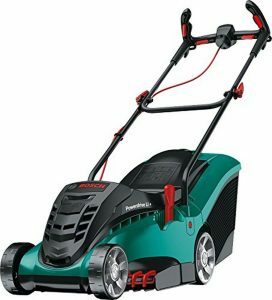 When deciding between a petrol and an electric lawn mower, there are good arguments for both choices. If you have settled on an eclectic option, you still need to decide between a coded or cordless model. Here are the pros and cons for both choices. The obvious advantage is that a cordless lawn mower gives you complete freedom and no worry about cutting over cables or getting them the right place. You also do not have to worry about where the nearest power point is or the length of the cable. You have ease of movement. Provided you do not have a really large lawn, a cordless electric lawn mower will be perfect. They are fast and efficient. As discussed above, you have complete freedom. There is no need to worry about where the cable is or where to plug it in. You can just switch on and go. 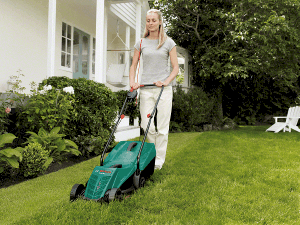 Cordless lawn mowers are highly mobile and take a lot of the fuss and stress out of operation. They are designed to be light and easy to move. This makes them ideal if older or younger people want to mow the lawn. The really do not require a huge effort. 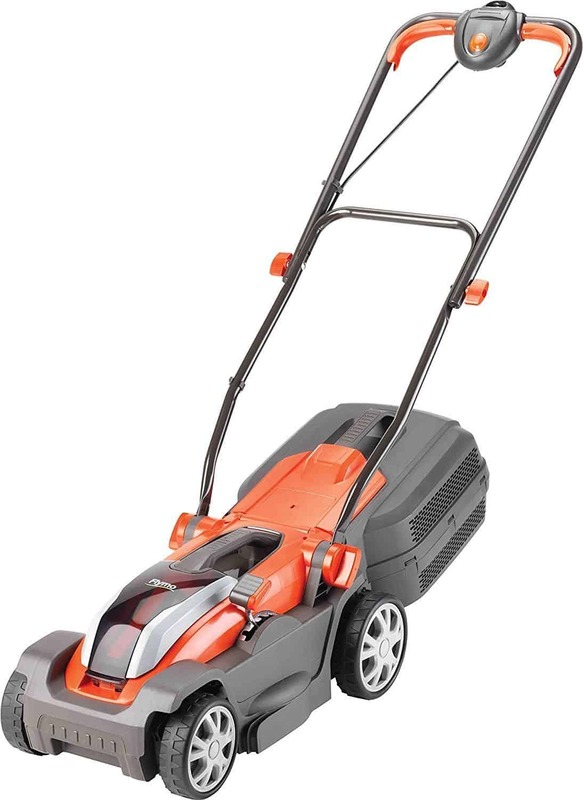 It is important to consider the environment and cordless lawn mowers are highly eco-friendly. Provided you dispose of the batteries correctly, they are probably the most environmentally friendly option you could go for. They use very little power to charge and do not burn fossil fuels directly. 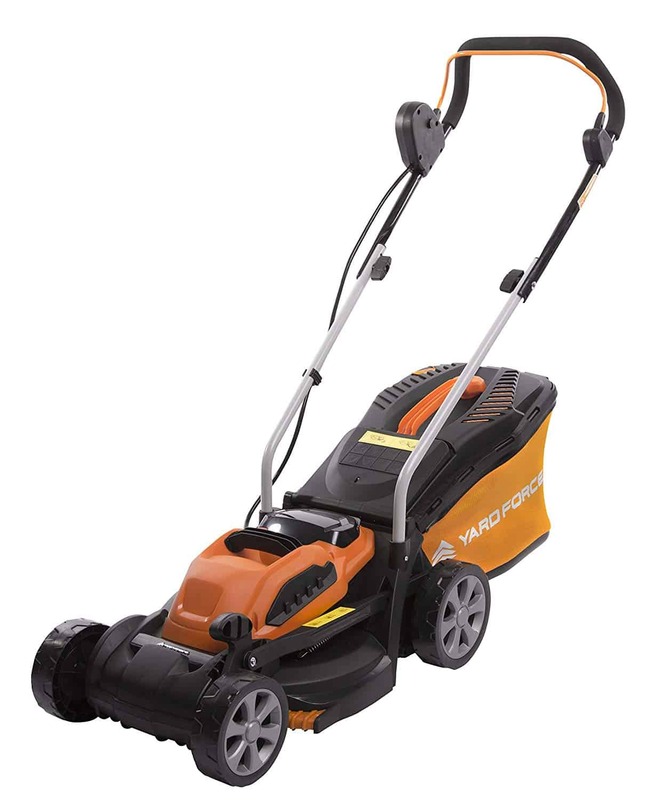 Another great advantage is that cordless electric lawn mowers are the quietest option you will find. Noise is a major issue and this is particularly important if you live in a built-up area. There is nothing worse than the neighbour with the loud noisy lawn mower. You can avoid that situation with a cordless electric lawn mower. Electric lawnmowers are, by nature, lower maintenance than petrol models. There is simply less to go wrong. They do not need to be serviced and so long as you keep them clean, they will look after you. Petrol lawnmowers need to be serviced just as one would with a car. This is time-consuming and costly. There is a downside to cordless lawn mowers. Let’s take a look at them so you have all the facts in order to make a good choice. 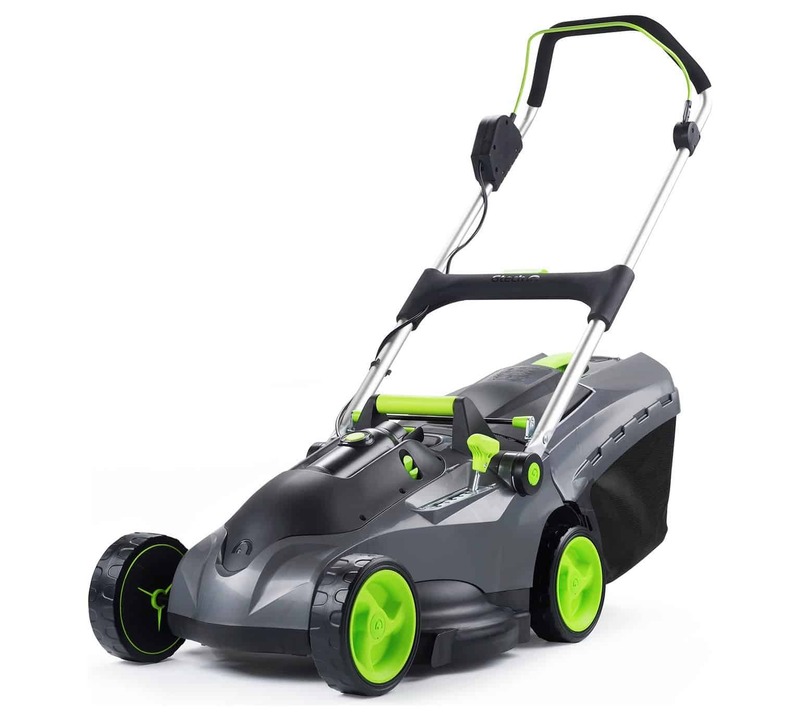 Mostly because of the battery technology, cordless lawn mowers tend to be more expensive than a corded option. They are still generally a bit less than petrol lawn mowers. You also have to factor in the fact that batteries will need to be replaced. 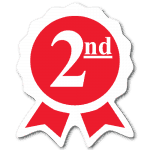 The average lifespan, depending on the battery is 2 to 6 years. 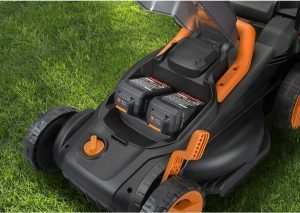 Batteries cost a fair amount of money so it is important to consider this future cost when investing in a cordless lawn mower. You have to remember that batteries only last so long. 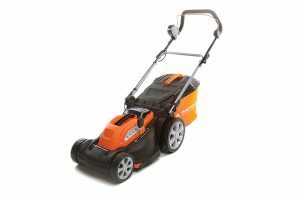 It will depend on the lawn mower you use as well as the condition and length of the grass. On average, your cordless lawn mower will last between 40 and 60 minutes. Some last a bit longer. Wet or long grass will use more battery power and reduce the time. There is no doubt that a battery-powered lawn mower will have less power than a petrol engine. Unless you have very rugged grass, this should not be an issue. 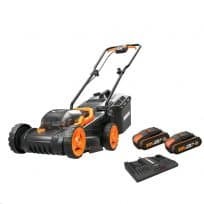 Provided you cut your grass regularly a cordless lawnmower will have no problem cutting your grass, If you let it get very long or it is wet, you might battle a bit. 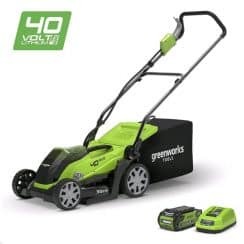 Cordless lawnmowers are extremely convenient but because you are restricted by the battery life of the lawn mower they are not suitable for large lawns. You will probably run out of charge before the job is completed. Only consider a cordless lawn mower if you have a small or medium lawn. Other things to think about when looking at the size of your lawn is the deck size or cutting width and the grass box size. A larger deck size and blade will cut faster but with a bit less accuracy. It will be faster and require fewer passes. A larger grass box will mean fewer trips to empty it out. Some varieties of grass will require more power. If you have a tough grass or you often leave it for a while between cuts, a cordless lawn mower might not have sufficient power to cut effectively. If you want a finish such as stripes on your lawn you need to select an option with a rear roller. Here are a few features to consider when making your selection. One of the advantages of cordless lawnmowers is that they tend to be lightweight and easy to move. They are rarely self-propelled but due to their lightweight design they are easy to push and fairly low effort. You want to have a few options in terms of cutting heights so you can get the perfect cut according to the type of grass and the season. This is very important as you want something that will last long enough to get around your lawn without having to stop to recharge. The manufacturer will give an estimate of the battery life. 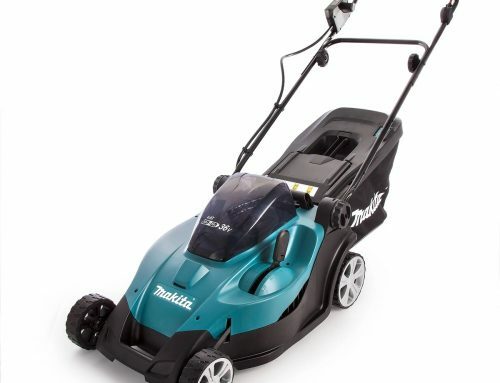 The larger your lawn, the more battery life you will need. Some models use a dual battery and one can be charged while you use the other. This is obviously great for slightly larger lawns. Certain types of grass or an environment with lots of banks and inclines will need a bit more power. You will also need additional power if your grass is left to grow a bit or is wet. 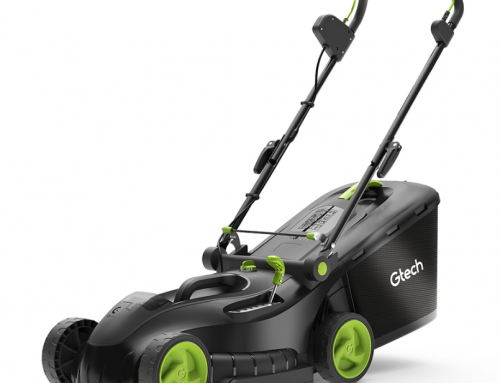 Not sure if a cordless lawn mower is right for you? 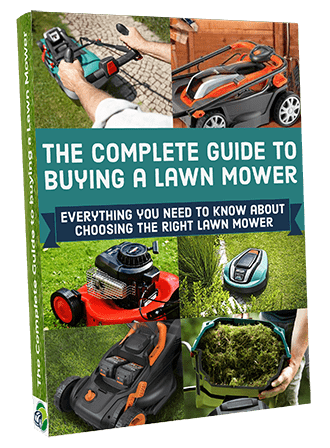 Then check out my FREE comprehensive guide to buying a lawn mower here!